We will present our annual Gold Badge lunch at The Savoy, London on Friday 11th October 2019. An Ivors Academy Gold Badge is presented to outstanding individuals who have supported the professional lives of UK songwriters and composers. Created in 1974, The Ivors Academy Gold Badge acknowledges exceptional talent in the UK music industry; individuals who support creativity in all its musical forms. We acknowledge that success is rarely a solo achievement; we are inspired by those who came before us, championed by broadcasters and commissioners, or supported by managers and publishers. Our creations are performed by exceptional musicians or realised in recorded form by producers, engineers and arrangers. For over 45 years we have acknowledged the many outstanding individuals who have supported our membership through the presentation of The Ivors Academy Gold Badge, taking place each October at an exclusive lunch in the Ballroom of The Savoy, London. Academy members (formally Professional members) of The Ivors Academy are invited to submit their nominations for this year’s The Ivors Academy Gold Badge. If you would like to nominate someone, you can do so in the Members Area here. Nominations will close on Friday 3rd May. 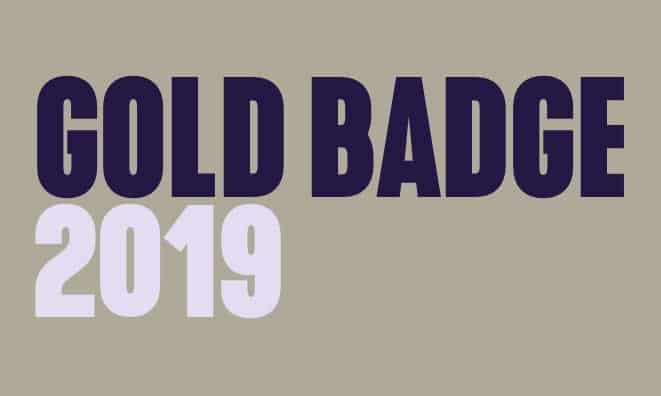 To view archives of our previous Gold Badge awards, click here.